Not as much as last year, due to a stronger US dollar. Worldwide IT spending will jump another 1.4 per cent this year, according to a new report by Gartner. The report says IT spending is expected to hit $3.5 trillion this year. A quarter before, the increase was 2.7 per cent, but the difference occurred mostly due to the strengthening of the US dollar. "The strong US dollar has cut $67 billion out of our 2017 IT spending forecast," said John-David Lovelock, research vice president at Gartner. "We expect these currency headwinds to be a drag on earnings of US-based multinational IT vendors through 2017." There will be a slight grow in the data centre system segment (0.3 per cent), while the server market will experience a ‘slowdown’. "We are seeing a shift in who is buying servers and who they are buying them from," said Mr Lovelock. 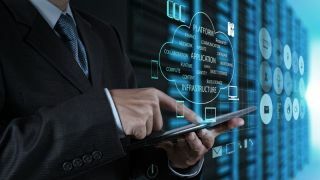 "Organisations are moving away from buying servers from the traditional vendors and instead renting server power in the cloud from companies such as Amazon, Google and Microsoft. This has created a reduction in spending on servers which is impacting the overall data centre system segment." Globally, spending on devices (PCs, tablets, etc.) will grow 1.7 per cent and will reach $645 billion. Mobile phone growth is fuelled mostly by the increased ASPs for phones in emerging markets, paired with the anniversary iPhone that’s coming up. Tablet market is continuing its downward spiral. IT services market is expected to grow 2.3 per cent (down from 3.6 per cent a year before). “The business-friendly policies of the new US administration are expected to have a slightly positive impact on the US implementation service market as the US government is expected to significantly increase its infrastructure spending during the next few years,” the report concludes.